The city of Rialto is an odd mix of nice new subdivisions, industrial grayness and rundown neighborhoods. When I covered the city as an Inland Empire news columnist in the late 1990s, it had a distinct inferiority complex. How much so? Some residents looked up to Fontana to the west as a city to emulate. “RIALTO, Calif. — ‘Get on the ground,’ Sgt. Chris Hice instructed. The teenage suspects sat on the curb while Sergeant Hice handcuffed them. 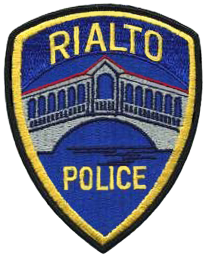 “Rialto has become the poster city for this high-tech measure intended to police the police since a federal judge last week applauded its officer camera program in the ruling that declared New York’s stop-and-frisk program unconstitutional. Rialto is one of the few places where the impact of the cameras has been studied systematically. “… a 2004 study in Criminology and Public Policy by criminologists Stephen Mastrofski from George Mason University and Jonathan Gould from American University evaluated direct observations of police searches in a medium-sized American city. They conservatively estimated that nearly one-third of police searches were performed unconstitutionally and almost none of those unconstitutional searches came to the attention of the courts. But guess who objects to having a “win/win”? Police unions that don’t want the scrutiny and accountability, unions whose leaders know that a significant number of cops routinely behave badly. Now here’s a new wrinkle: The Ars Technica tech website reported last week that Boston police are furious about the idea that cruiser GPS devices are going to be used to make sure officers are where they are supposed to be. “What’s the logic to putting in such a tracking system? It lets dispatchers know where officers are in real time rather than having them wait for a response via radio. Unsurprisingly, some cops don’t like the new change. 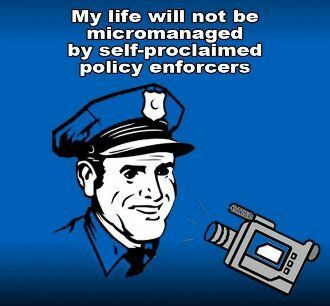 As the police-state types like to say, if officers don’t like being watched, they shouldn’t worry. If they’re not doing anything wrong, they won’t get in trouble. Rialto is a nightmare that already happened. 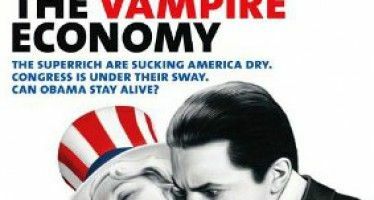 Most inland communities are ravaged by globalist exploitation of blue collar residents working for peanuts in giant warehouses filled with international junk products and donning ball caps and aprons at slave master retail and food joints. So called cheap housing in inland communities attract the poor for human survival. Landlords rack em and pack em so familiar in China industrial complexes. Politicians only answers are redistribution, increasing the government welfare distribution complex and raising the fascist minimum wage while unions promise these hapless workers Paradise while taking their hard earned money for buying their crummy dead end jobs. Bash the police? There is blame all around. Without a manufacturing base economic policy you will have to live with billy clubs and tasers….get over it! Audio and video protect BOTH the cop and the person stopped.